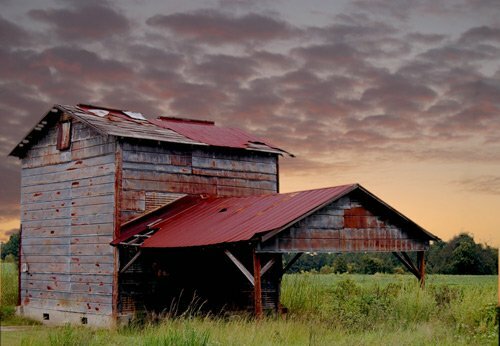 The South Carolina Encyclopedia has an informative article on tobacco barns in the Pee Dee region. Thank you for sharing! We love this photo! Picture of the Day, Feb 18th 2015 – Thanks SCIWay! This picture is beautiful. This old barn has a lot of character. It’s just a serene and peaceful sight. I love it.